I simply couldn’t get into this book. 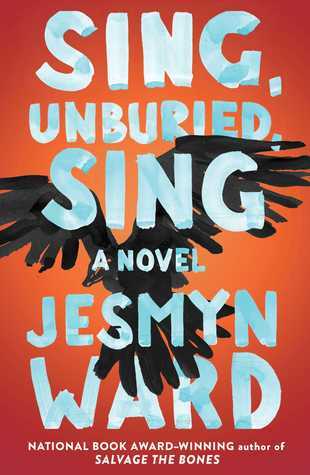 Not that it wasn’t good, or that Jesmyn Ward isn’t a sensational writer (she is), but I just don’t think that this book is quite for me at this time. I go through phases with my reading, sometimes I can endure what I’m not into and sometimes I find it so unbearable I can’t finish. This one of those times. Despite what the reviews say, I found this to be a very depressing novel from the outset. Preteen Jojo and his sister are from an impoverished family near the Mississippi border, living with (and pardon my French) the most fucked-up parents imaginable. Michael, his father, is a former convict, and Leonie, his mother, is a drug addict who gets high on the regular and talks to her dead brother. Despite his parents’ waywardness, Jojo is a good kid who manages to take on a parental role to his sister Kayla. He is wise beyond his years in a way that a child should not have to be, which made my anger toward his parents all the more apparent. Pop, Jojo’s grandfather, is also a kind man, who seemed to add a bit of tenderness to the story. There is a lot of magical realism in this novel (ghosts that are very much real, etc.) and even though I’ve read plenty of stories with it, I found this element to be kind of confusing. As the story went on, I felt farther and farther away from it, which is pretty much why I stopped reading it. I see myself coming back to this book, probably in the near future. For now though, I won’t rate it, other than to say that it wasn’t quite for me.